The Capital City of Henan is Zhengzhou and it is also the biggest city in the province. Henan is considered the birthplace of the Chinese civilization going back thousands of years. 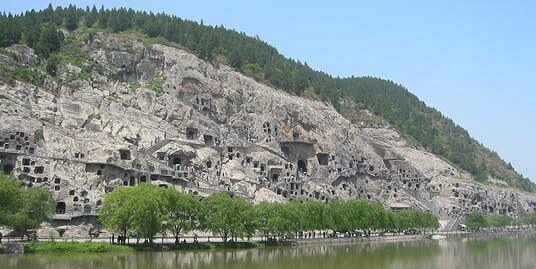 For this reason Henan is loaded with historical and cultural attractions and important archeological sites. The Henan Museum has hundreds of thousands of incredible artifacts, some as old as 8011 years. The Luwang Mausoleum (æ½žçŽ‹é™µ) in Xinxiang, the Gaocheng Astronomical Observatory. The oldest astronomical observatory in China. Bigan Temple (æ¯”å¹²åº™) in Xinxiang. Baligou (Eight-mile valley, å…«é‡Œæ²Ÿ) in Xinxiang. The Youguo Temple with the Iron Pagoda. The Annual Peony Show in Luoyang. The Shaolin Temple, on Mount Song. The White Horse Temple in Luoyang.